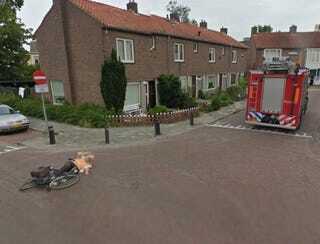 A Google Street View car on assignment in the Netherlands captured what looks like a fire truck bowling over a little old lady and driving away. Luckily, the Googlers stopped to help. Hey guys... where's the fire?